A performance in Columbus by acclaimed pianist Joyce Yang might be called a once-a-decade occurrence. 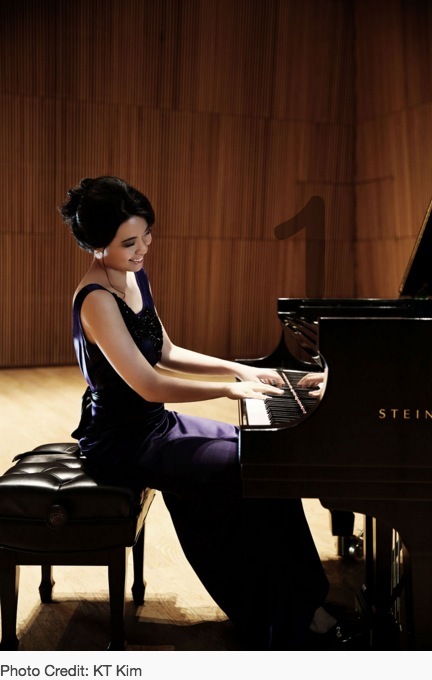 In 2006 — just one year after she won the silver medal at the Van Cliburn International Piano Competition — Yang appeared with the Columbus Symphony. On Saturday in the Southern Theatre, the 30-year-old pianist returned to Columbus — this time, for a solo concert presented by Chamber Music Columbus. The concert kicked off with four sonatas by Domenico Scarlatti. In an early indication of the versatility that would be this evening’s hallmark, Yang adapted to each piece: When the tempo was fast, she played with determination, and when the music became softer, with stateliness. It is to be expected that Juilliard School-trained Yang is an exemplary technician, but the extent of her emotional involvement in such a diverse mix of pieces comes as a surprise. Yang brought to the fore the spirited, sassy flavor of Claude Debussy’s “La soiree dans Grenade” — a Spanish-inspired movement from the French composer’s “Estampes” — and the flittering dance of a nightingale in Enrique Granados’ “Complaint, or The Girl and the Nightingale” (from “ Goyescas”). Throughout, Yang was fully devoted to the music — in her own world on stage, one might say — but in brief remarks to the audience, she was also a friendly and accommodating hostess. The pianist expertly set the stage for the challenging work by Vine, and joked that her blue dress did not entirely fit the venue. “I would have worn red for Ohio,” Yang said on the same day that Ohio State bested Michigan in football. Most appealing of all was the encore, introduced by the pianist as “a little cherry on top”: George Gershwin’s “The Man I Love.” Although the piece came at the conclusion of a demanding concert, Yang performed it with all the spirit and passion it deserved.